The football world was surprised quite well with the recent solid claims that Juventus are willing to go all the way and make Cristiano Ronaldo their blockbuster signing of the season. The Portuguese superstar, who has been showing signs of unhappiness since the most recent UEFA Champions League win with Real Madrid, and having bowed out from the World Cup with Portugal in the Round of 16 itself, has found himself in the papers yet again. Several of these claims state that the Italian giants have found apt financial means by which to make the move a reality, and that the 33-year-old has himself agreed to terms, with the entire ordeal now considered to be awaiting the nod of Florentino Perez. However, Manchester United fans, who would have been questioning their club’s lack of response over the purchase of a clear long-awaited target, may finally have an update. According to The Sun, Ed Woodward and company are currently sizing up the potential sum that may be required to outdo whatever bid Juventus may be willing to offer the La Liga giants. The report adds that United are aware that nothing certain has been agreed by Juventus yet, and will be looking to make the fairy-tale return to Old Trafford a reality once and for all, with a bumper three-year-deal said to be in the offering. 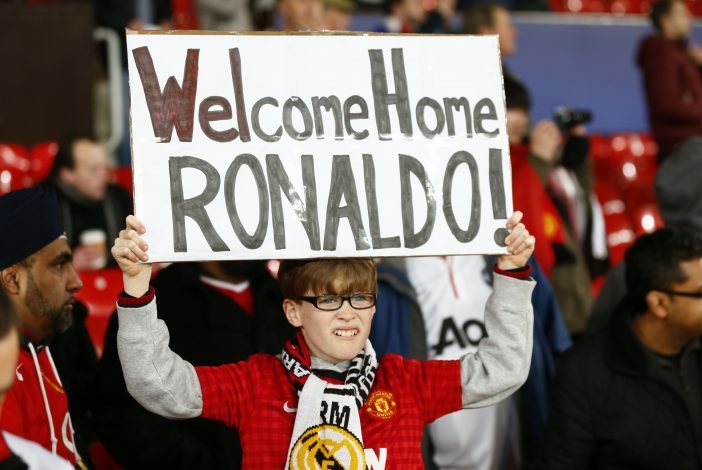 Ronaldo was the English club’s finest player from 2003 till 2009, when he departed for Spain for a then world-record fee. Since then, the Red Devils have been earnestly hoping for his return. With fellow target Gareth Bale reportedly ruled out of a move to the club, Ronaldo may be United’s sole saving grace. In terms of technicality, he’ll bring to the side some much-needed swagger and certainty upfront, despite his age. But most importantly to the likes of Woodward, he will be an assured commercial success, and their coffers may never be fuller if he does return this summer.